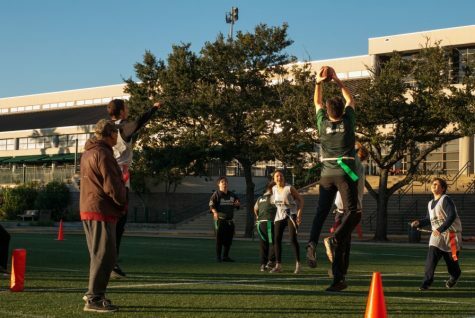 Green Wave football is not the only team reaching the end zones of Uptown – Tulane Special Olympics hit the fields outside the Reily Student Recreation Center before Thanksgiving Break for the championship of its ongoing flag football tournament. This is just one of the many athletics events Special Olympics hosts each year for athletes across the New Orleans area. The 2018 edition of this event treated the organization well: 22 athletes and 42 student volunteers were just a sample of the many faces present outside Reily. Athletes, volunteers, parents and this year’s newly introduced Spirit Squad soaked in the dwindling Friday sun watching the teams crisscross the field, each working towards a long sought-out tournament victory. For the athletes, the tournament is often about much more than a little friendly competition. George Huguley, one of the competitors, expressed how the tournament enabled him to turn back the clock to his playing days in high school. While the event most certainly proved enjoyable for the athletes involved, creating this fun competition is only one of the several goals Special Olympics sets out in planning events. Co-president Grant Little emphasized that the organization’s goal to bond communities in such events is just as, if not more, important than the competition itself. 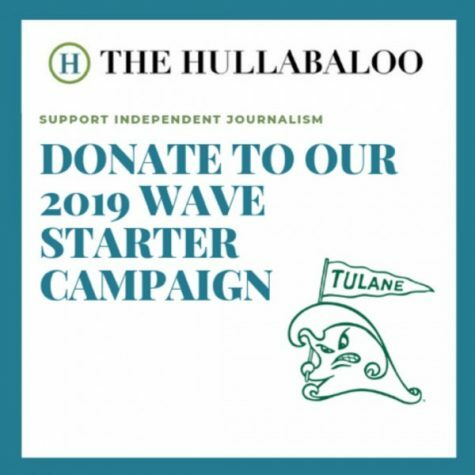 The Tulane organization is affiliated with the larger branch of Special Olympics since it represents not only the New Orleans area but the entire state of Louisiana. Volunteers go through extensive training, as their role is vital to the running of the national program. Co-president McCall Phillips reminds these volunteers that their hard work most certainly does not go unnoticed. The dedication of these volunteers is not merely appreciated by the leaders of the organization, but the players as well. 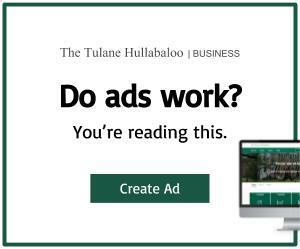 Many of the athletes could be seen smiling from ear to ear as they played amongst Tulane students and other volunteers. Two of the players, Stephen Slattery and Dakota Ory, had infectious enthusiasm during could not reign in their energy from the game and are anxiously awaiting next year’s competition. This is not the last event of the school year, however, as the organization has a busy spring calendar. Phillips put great emphasis on Special Olympics’ upcoming Louisiana State University v. Tulane basketball game in the Avron B. Fogelman Arena in Devlin Fieldhouse early next year.